There is so much to enjoy in this post Patricia. I am so glad that you have changed your view on our most wonderful nettle. It is one of the best healing herbs too…. 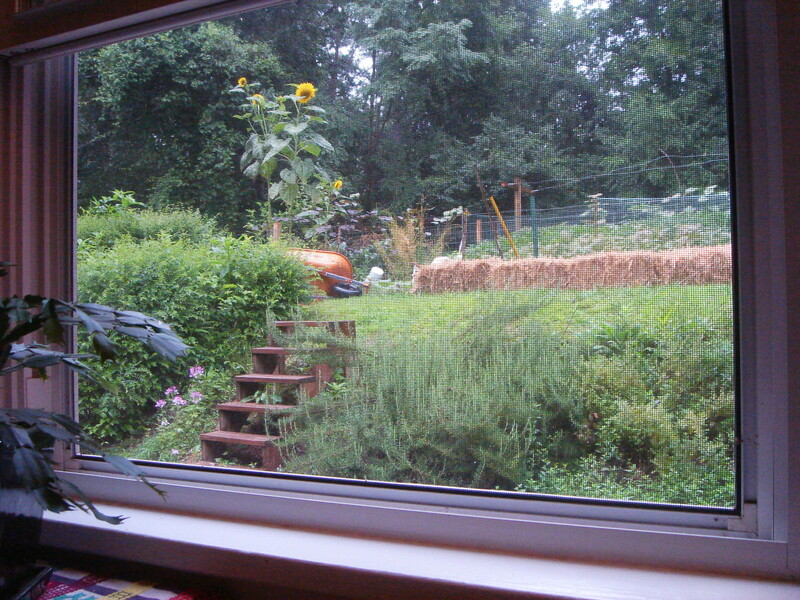 and I soak it to make a great liquid fertiliser for our veggies growing in the garden…..very stinky though! Oh! and you probably know that it has also been used to make cloth. I am so with your grandson about playing with my shadow…..reading this made me go and put a little post on my blog just for him….. 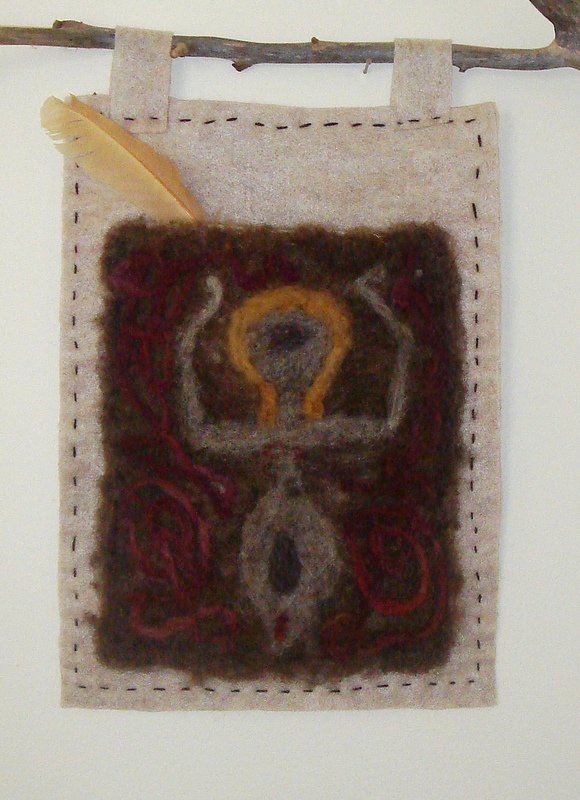 I love the felt memory holder you made, and the second image has me most intrigued….is it the triple goddess aspect…..maiden, mother, crone? hi Helen. i’m just beginning to explore nettle so please feel free to provide as much information about it as you care to share. i also viewed your shadow video and found it delightful–will share with gs. hand makes cloth, but its really going beyond that. it’s stunning. thank you for mentioning nettle in this way. it made me realize i know just enough to be dangerous. what i was calling nettle–meaning common nettle–is actually horse nettle–and probably not good for drinking. love and thanks. Your work feels so real, so raw. I really like it. Also like your reframing ‘regret’…good idea…good idea to think on. 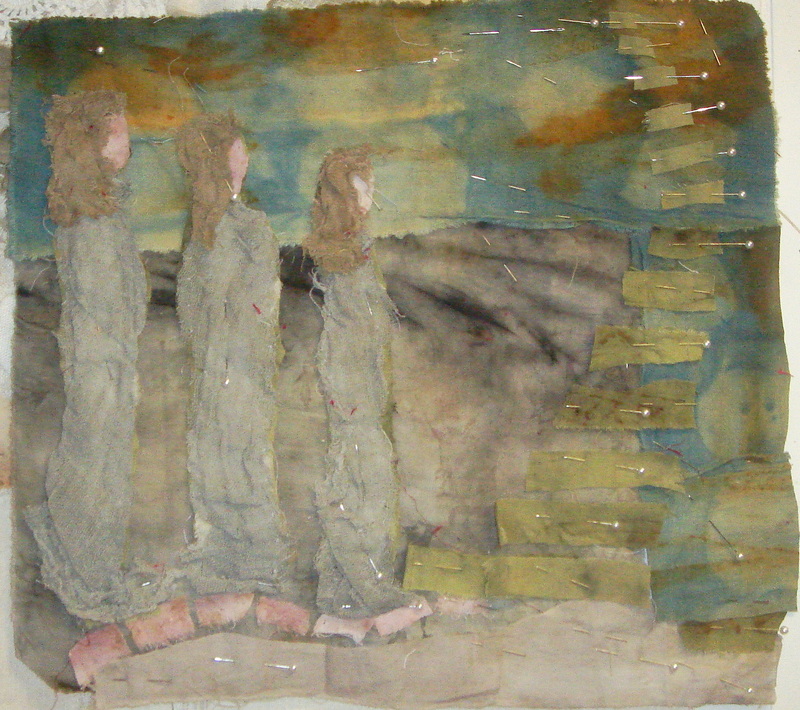 The 3 women is very, very moving. i did think your cloth was a painting, Patricia. it is wonderful and very other worldly. anxious to see what kind of stitch you will add. i seem to get this far with a piece and then just have to sit. wait for further information. i’ll be anxious to see the stitching too. so glad you visited here. i’m going to look up Revelation. it wasn’t in any of my Gibran books, but i did spend time with him last night. thanks for the reminder. Three images, are they plural or singular? : For me, it is all one woman, beginning a journey to knowing herself. The steps leading to an acknowledgement that while one may be a solitary woman, she is also a planetary woman. I have often used these words, planetary woman, to convey the sense that we belong to so much more than the self; that there is a tradition of knowing and womanhood as old as time and at a certain point in our lives, we hear the call and move toward a place of recognition, mutual respect and communal understanding…what an extraordinary cloth this is Patricia; it simply vibrates for me as I recognize this story of path finding…..